Zeal for life. Living life like my buttocks are always on fire. // Celo por vida. Vivo vida como mis nalgas siempre están en fuego. 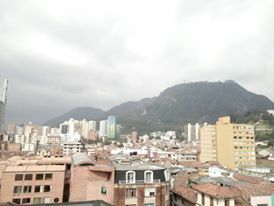 View from Luis Angel Arango Library. The content of this website is mine alone and does not necessarily reflect the views of the U.S. Government, the Peace Corps, or the Colombian Government. AnhellBealKim Create a free website or blog at WordPress.com.